If you are using the drop-down menu. 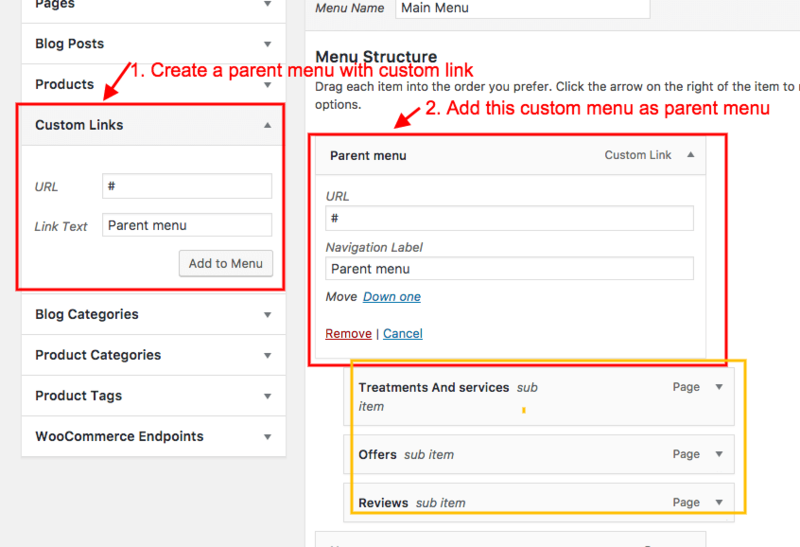 We Recommend using custom link with # in Parent menu. Use the custom link in parent menu for the dropdown menu.